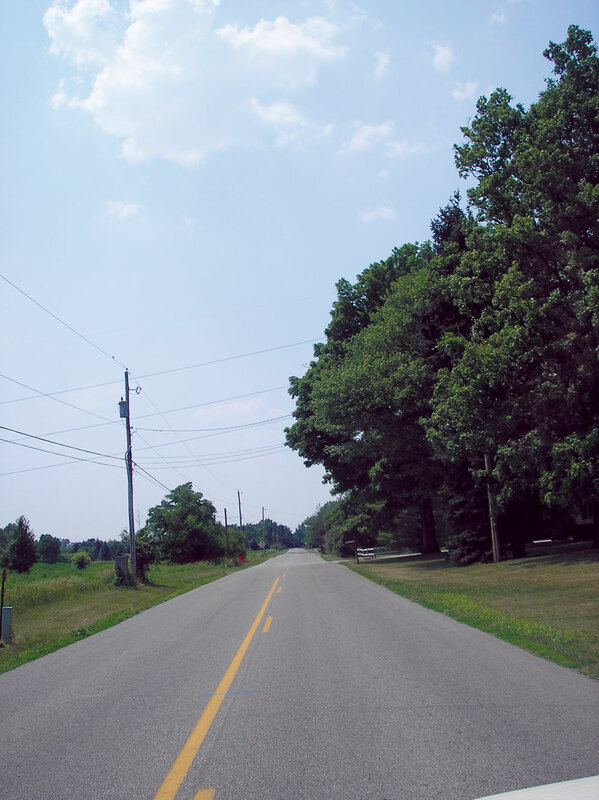 The Hyland-Croy Road Corridor Character Study was completed in 2011 as a refinement to the Northwest/Glacier Ridge Area plan, providing a more detailed explanation of how rural roadway character should be preserved and enhanced along Dublin’s northwest boundary. The study was initiated due to rapidly changing development conditions experienced in and near the corridor prior to the economic recession of 2008-2009. While development pressure has slowed in recent years, residential development patterns have been set throughout much of the corridor. However, there remains uncertainty regarding future land use and development character in the southeast portion of the corridor near the U.S. 33/SR 161/Post Road interchange. This plan depicts a long-range vision of preservation, development and infrastructure improvements throughout the northwest area. It is intended as a guide to assist the City when making decisions as the need arises. Future roadway improvements may be the responsibility of either the City of Dublin or the Union County Engineer. Refer to the Thoroughfare Plan for future roadway improvements by lead sponsor. Likewise, future zoning and development approvals could occur within either the City of Dublin or in Jerome Township. Capital improvements and development proposals are subject to public notice and review processes within each jurisdiction. The planning process included a series of neighborhood meetings to find out what residents and property owners felt about the character of the roadway, as they experience it. Among the activities provided to the neighbors were opportunities to discuss issues of concern to them and to select images they felt best represented how the road and open space areas should look and function. Initial design concepts for landscape treatments and roadway design options were presented for comment at Homeowners Association meetings and a special meeting for non-HOA residents. The planning area is bounded generally by the Union County line to the east, Post Road to the south, U.S. 33 to the west, and Brock Road to the north. The rural character of the northwest area has been historically defined by agricultural fields, farmsteads, and large lot residential development, and by scenic natural features such as stream corridors and wooded areas. The area includes pockets of undeveloped land adjacent to Hyland-Croy Road, although much of the eastern portion of the corridor has undergone development over the past decade. Preservation efforts within the City of Dublin have included requirements for large open space setbacks along Hyland-Croy Road, typically 200 feet in width. with restored wetlands, preserved woodland and managed prairie areas. It is accessible to the region and provides a convenient recreational use for the Dublin community. As the dominant land use in the northwest area, the Metro Park is a primary element around which development must coordinate and blend. Hyland-Croy Road is a two-lane rural roadway connecting Post and Brock Roads, and is the primary north-south route through the northwest area. Other major roadways in the area include Brand, Mitchell-Dewitt, and McKitrick Roads. Currently, much of Hyland-Croy Road serves as Dublin’s corporate boundary, and right-of-way jurisdiction is divided between the City of Dublin and Union County. Residential development has contributed to increased traffic volumes in the Hyland-Croy corridor, as well as increased demand for safe pedestrian and cycling routes. Traffic speeds and intersection safety are concerns among many residents. There is also concern among residents that the existing roadway design will be insufficient to accommodate traffic as neighborhoods continue to develop. Hyland-Croy Road is designated in the Dublin Thoroughfare Plan for expansion to a four-lane divided roadway to accommodate this projected traffic. 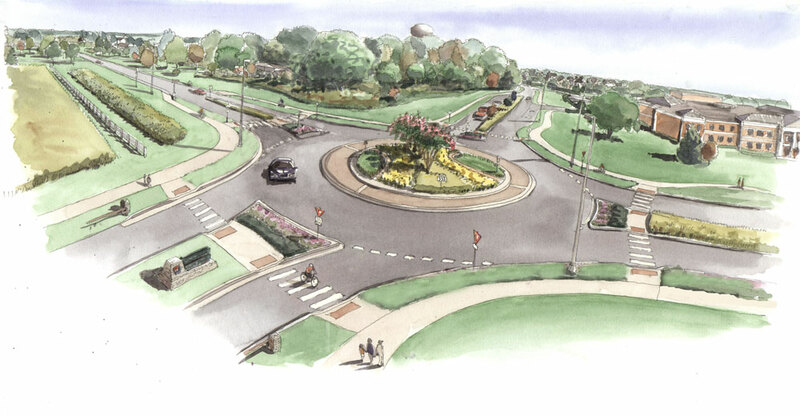 In 2007, the City of Dublin partnered with Union County to construct the first roundabout in the Hyland-Croy corridor at Glacier Ridge Boulevard. Additional roundabouts have been planned throughout the corridor. Other planned transportation improvements in the northwest area include the future realignment of McKitrick Road to incorporate a new U.S. 33 interchange (Union County Thoroughfare Plan), and the planned improvement of the U.S. 33/SR 161/Post Road interchange by the City of Dublin. 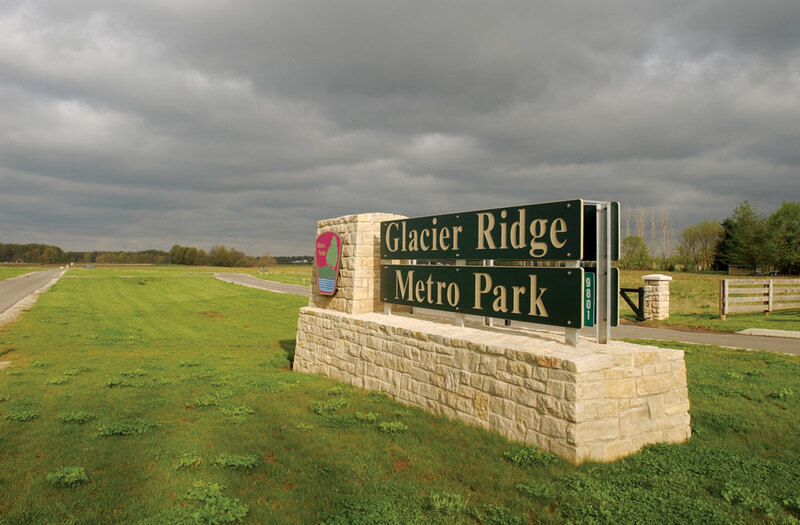 The Glacier Ridge Metro Park includes a comprehensive multi-use path system providing a continuous recreational route for pedestrians and cyclists throughout much of the northwest area. Each of the residential subdivisions along Hyland-Croy Road also include multi-use paths within public open spaces. Currently, the path system is disconnected where land remains undeveloped, making continuous pedestrian travel difficult. As the population has grown near the Metro Park, Dublin-Jerome High School and Glacier Ridge Elementary School, the need for safe pedestrian crossings to these destinations has also increased. In 2010, the City of Dublin installed a motion-activated pedestrian crossing signal at the intersection of Hyland-Croy Road and Tullymore Drive to improve the connection between the Metro Park and Dublin path systems. Residents have expressed a desire for more substantial traffic control measures or alternative crossing options, such as a pedestrian tunnel. The northwest area includes a series of residential subdivisions that have developed along Hyland-Croy Road in the City of Dublin and a number of large lot single family homes along Hyland-Croy, Mitchell-Dewitt, McKitrick, and Brock Roads in Jerome Township. Residential neighborhoods are in various stages of development, with single-family neighborhoods in the southern-most portion of the area nearing completion. Newer residential developments have been approved with a mixture of housing types. Two of these developments include neighborhood retail centers, planned for future construction near Mitchell-Dewitt and McKitrick Roads. 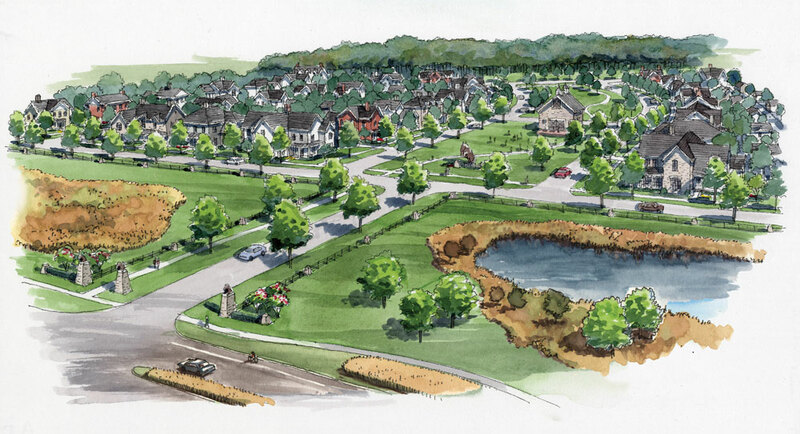 Each of the residential subdivisions is required to maintain a large open space setback along Hyland-Croy Road for the purpose of preserving rural character; however, developments approved at different times have incorporated a variety of landscape design themes. Eventual build-out of these neighborhoods will contribute to increased traffic volumes on Hyland-Croy Road, further affecting the rural character of the corridor. A limited number of potential residential development sites remain in the Hyland-Croy corridor. Development opportunities to the west along Mitchell-Dewitt, McKitrick and Brock Roads will be limited by the Glacier Ridge Metro Park, and by the existence of single-family rural lots throughout the area. However, Hyland-Croy Road is planned for extension north of Brock Road as part of the Jerome Village master planned development in Jerome Township. If developed as planned, this community will contribute substantially to traffic volumes on Hyland-Croy Road. The southwest portion of the Hyland-Croy corridor contains over 140 acres of agricultural land adjacent to U.S. 33, currently in Jerome Township. The visibility and accessibility of this land provides an opportunity for employment generation in close proximity to the interchange, as depicted in this plan. However, zoning approval has been granted by Jerome Township for large format retail development at this location. The planned improvement of the U.S. 33/SR 161/Post Road interchange will facilitate access to this location and will increase commercial development pressures. Land to the west of Hyland-Croy Road has the potential to be served with water and sewer utilities by either the City of Dublin or the City of Marysville; however, utility service details for this area have yet to be determined (see Chapter 9 – Utilities, Map 9.1 Municipal Service Agreement Areas). The uncertain future of land use and development character near the interchange will require the City of Dublin to consider multiple roadway design options to mitigate impacts on surrounding neighborhoods if these properties do not develop within the city. 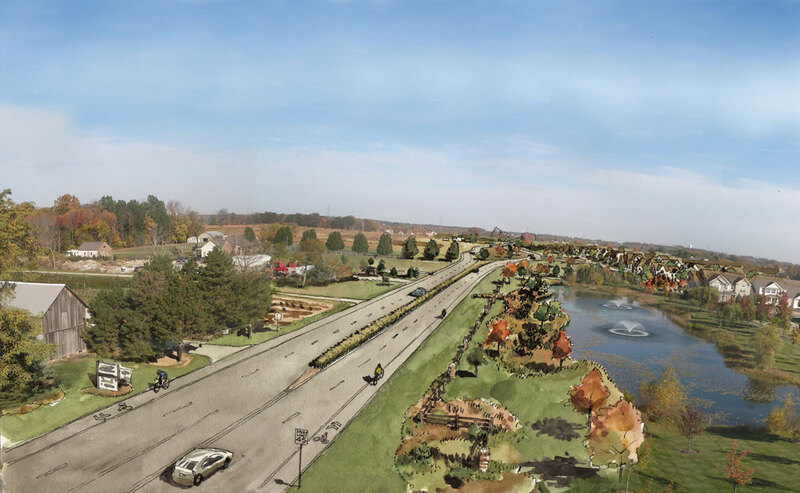 …To protect the rural and natural character of the area and the Glacier Ridge Metro Park by encouraging residential conservation development and context-sensitive roadway design, while maintaining high quality employment uses near the Post Road interchange. Hyland-Croy Road is designated as a rural roadway type on the Roadway Character Map. The Rural Character guidelines include a series of general recommendations for roadway design and open space treatments. Roadway character is rarely consistent throughout the entire length of a transportation corridor. Landscape character and roadway design must be sensitive to the surrounding environment and development context, and must balance the needs of aesthetics and function. At build-out, development character will transition at various points along the Hyland-Croy corridor, with more intensive commercial uses near the freeway interchange, and neighborhood service or civic uses at major intersections. Between major intersections, land use character will consist primarily of residential neighborhoods, individual single-family homes, and Metro Park frontage. Entryways to residential neighborhoods provide additional transition points along the corridor. Roadway character must respond to each of these contexts, and should seamlessly transition between different areas to create a coordinated fabric that functions as a whole. Dublin has designated this area in the Future Land Use Plan for a mix of Premium Office and Office/R&D uses. Figure A illustrates a conceptual vision of Dublin’s preferred development scenario. However, a substantial portion of this area (also known as Hall’s Corner) has been granted zoning approval in Jerome Township for large-format retail development, conceptually illustrated in Figures B and C.
In each of these images, land to the east of Hyland-Croy Road is depicted with a mixture of residential housing types as designated in the Future Land Use Plan. Single-family detached homes should be developed adjacent to the existing lots in the Post Preserve neighborhood, transitioning to a mixture of single-family attached and low-density multiple-family units toward Hyland-Croy Road. Due to Ohio Department of Transportation requirements, Post Preserve Boulevard will be closed at Post Road as part of the planned interchange improvement. A new residential street will provide access to the Post Preserve neighborhood from Hyland-Croy Road. This street should be designed as a formal entryway, replicating elements of the existing Post Preserve entry features. As a whole, this new residential development should be designed to integrate with, and should be considered part of, the larger Post Preserve neighborhood. Each of these images illustrates an alternative configuration for Hyland-Croy Road. Figure 3.9a illustrates a narrow median with slight curvature to the roadway alignment, providing consistent open space setbacks on both sides of the roadway. This option would be most appropriate for implementation with the city’s preferred development scenario at Hall’s Corner, as architectural character and open space requirements for this site would be appropriately coordinated with surrounding neighborhoods, if developed within the city. Figures B and C illustrate larger, variable-width medians with substantial mounding and tree massing, and more significant curvature of Hyland-Croy Road. These options should be considered if land to the west of Hyland-Croy Road does not develop within the city. A more substantial median design can be implemented as a means to buffer nearby residential neighborhoods from incompatible uses and to mitigate visual impacts on the corridor. The concept shown in Figure C depicts the new street intersection shifted to the east, creating additional area for landscape buffering to the west of the roadway. It should be noted that implementation of wider medians will result in a narrower open space setback to the east of Hyland-Croy Road. As future development options become clearer, the best design solution may include elements from each of these concepts. The northwest area is primarily planned for residential land uses, with the goal of preserving existing homes while accommodating new neighborhood development along the Hyland-Croy corridor. New residential development should incorporate a mix of housing options within cluster development patterns to conserve open space and natural amenities, while visually interrupting views of development with open vistas. Housing should be oriented toward parks and open space to take advantage of these amenities, and should incorporate landscaping that blends with the natural environment. Where necessary, a transition of unit types should be provided to minimize impact on existing neighborhoods. Connections to existing residential streets should be made to improve neighborhood circulation while reducing the number of additional access points to Hyland-Croy Road. Architecture visible from the roadway should incorporate styles and massing typically found in the area. Intense commercial uses will be limited to areas with adequate access and visibility, particularly near the U.S. 33/SR 161/Post Road interchange.. Potentially incompatible development should be screened from nearby residential areas and from the Metro Park. Mass tree plantings should be considered along the roadside and within roadway medians to buffer residential neighborhoods and to minimize the visual impact on the corridor. Wooded buffers are a long-term solution that will take many years to reach maturity; they should be integrated with mounding to provide immediate screening and visual relief. Mounding should be coordinated with other landscape treatments found throughout the corridor, such as low-maintenance ornamental grasses and perennial plantings. Tree plantings should incorporate a mix of deciduous and coniferous native species in patterns that will provide continuous, year-round screening. Planting schemes should also include a mix of understory and upperstory species to create a more naturalized appearance and to enhance the screening effect. The location of two planned neighborhood retail centers as part of the Oak Park and Tartan Ridge neighborhoods will affect the visual character of Hyland-Croy Road at the Brand Road and McKitrick Road intersections. The visibility needs of these centers should be balanced with open space setbacks that mitigate the visual impact on the corridor and complement the overall landscape theme along Hyland-Croy Road. 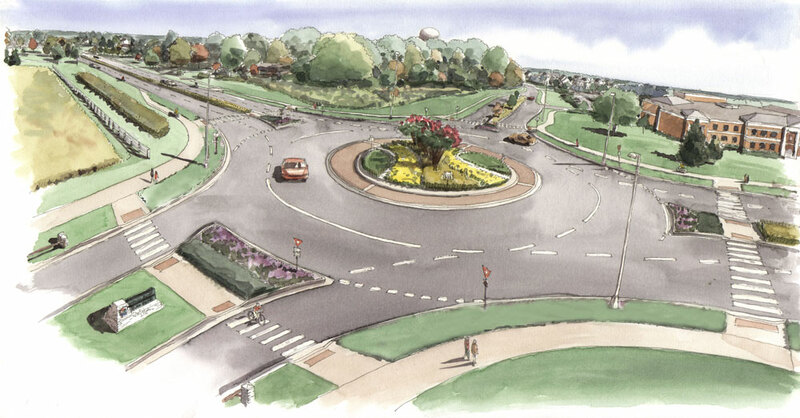 Planned roundabouts at these intersections will further change roadway character by introducing suburban infrastructure elements to the corridor, such as curb and gutter drainage. Together, the intensity of both land use and infrastructure will result in a more formal character at these locations. Care should be taken during the development review process to ensure that landscape design for retail center setbacks is complementary to nearby portions of the Metro Park, adequately screens vehicle use areas from the roadway, and coordinates with recommended right-of-way design elements described in this plan. Open space setbacks along Hyland-Croy Road should balance naturalized and formally maintained design treatments. Entryways to neighborhoods and other development areas should serve as unique gateways to welcome residents and visitors as they enter the neighborhood. These gateway locations are appropriate places to focus formal landscape design elements to achieve maximum effect, providing visual accents to a more naturalistic landscape character throughout the corridor. They also provide opportunities for each development to introduce a unique design theme that carries throughout the neighborhood. 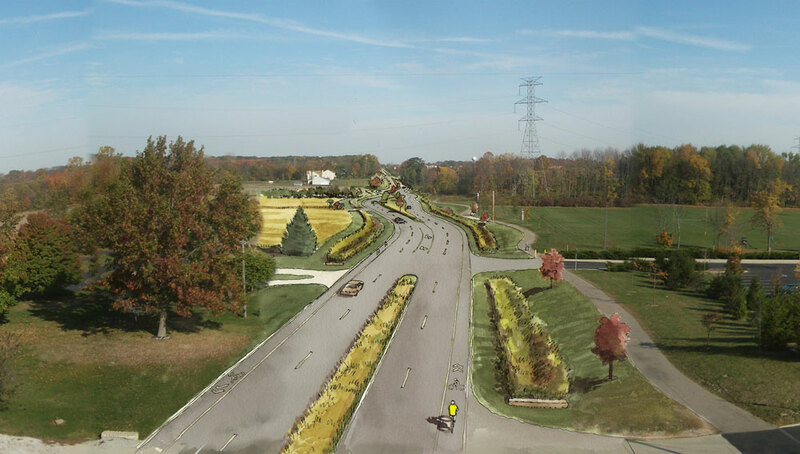 Stretches of roadway frontage between entryways should coordinate with and complement the naturalized landscape of the Glacier Ridge Metro Park and public right-of-way treatments. Wherever possible, significant examples of rural heritage, such as farmhouses and barns should be preserved and incorporated into open space setbacks. 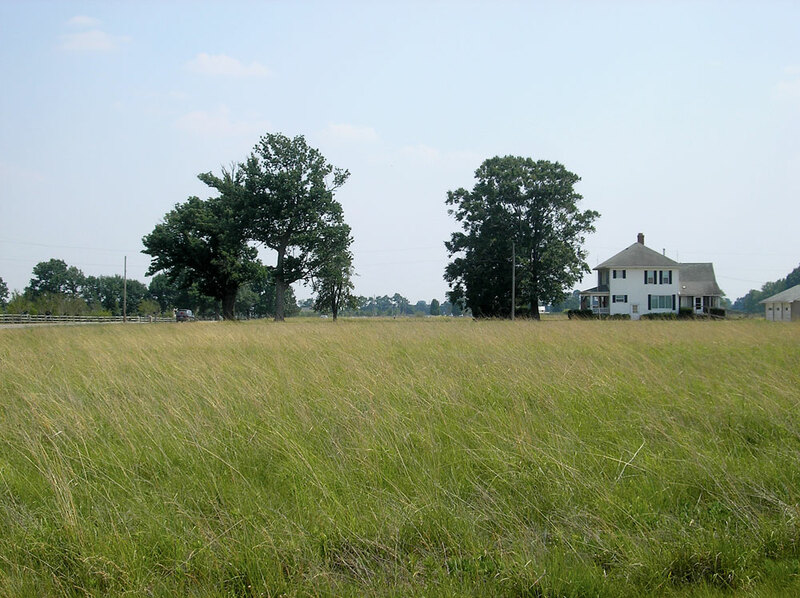 Mass plantings of perennial grasses in no-mow and low-mow zones can mimic an agricultural setting while minimizing maintenance requirements. The development review process provides an opportunity to ensure appropriate soil preparation, seed mixes and maintenance regimes will achieve the aesthetic design intent while avoiding an unkempt appearance. Naturalized frontage treatments should transition to formally maintained recreation areas located away from the roadway and in closer proximity to homes and residential streets. Well-defined edges or ‘mow lines’ can be used to create transitional areas between formally maintained and naturalized landscape zones. 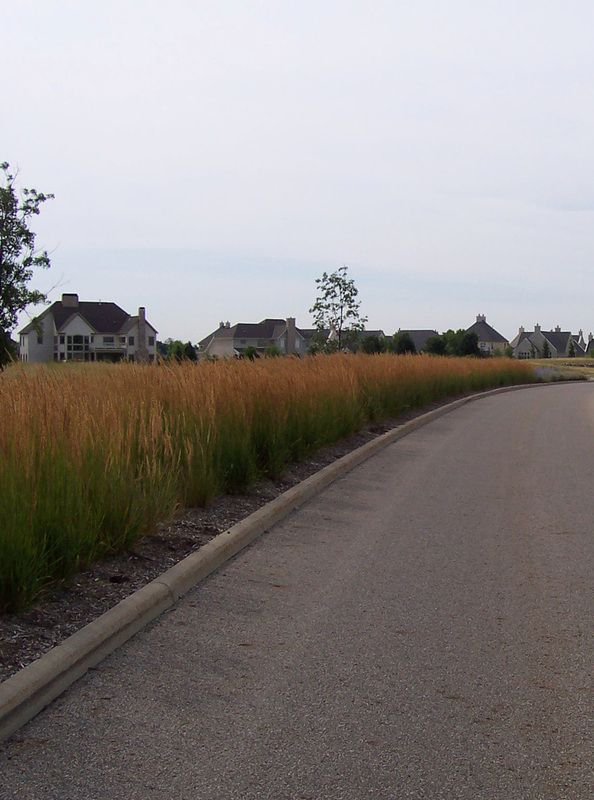 Home owners associations are encouraged to incorporate naturalized landscape treatments along Hyland-Croy Road as a low-maintenance design option that will contribute to the rural character of the corridor. Hyland-Croy Road is designated in the Thoroughfare Plan to incorporate variable-width medians as part of future roadway improvements. 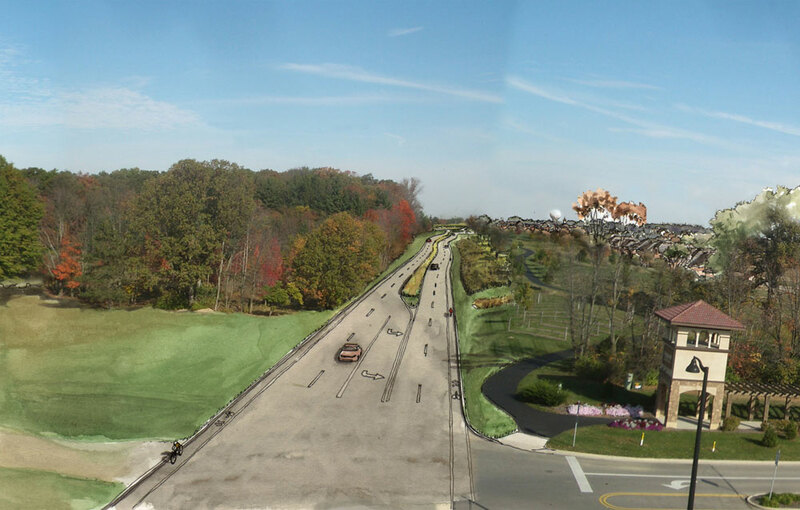 The variable median design element is intended to mitigate the visual impact of multiple travel lanes by adding visual interest with additional landscaping and roadway curvature, in some cases creating the impression of a two-lane rather than a four-lane road. The Thoroughfare Plan notes that additional right-of-way may be necessary to incorporate variable median sections. In many cases, physical constraints from surrounding natural features, existing development, or established open spaces will make this design concept impractical. The greatest opportunities for variable-width medians are typically in locations adjacent to undeveloped land. Additional right-of-way needs should be considered with future development proposals, and development setbacks should be strategically planned to accommodate future roadway improvements. In some cases, limited encroachment into existing open space areas may also be considered, but should be carefully studied for the impact on these spaces. 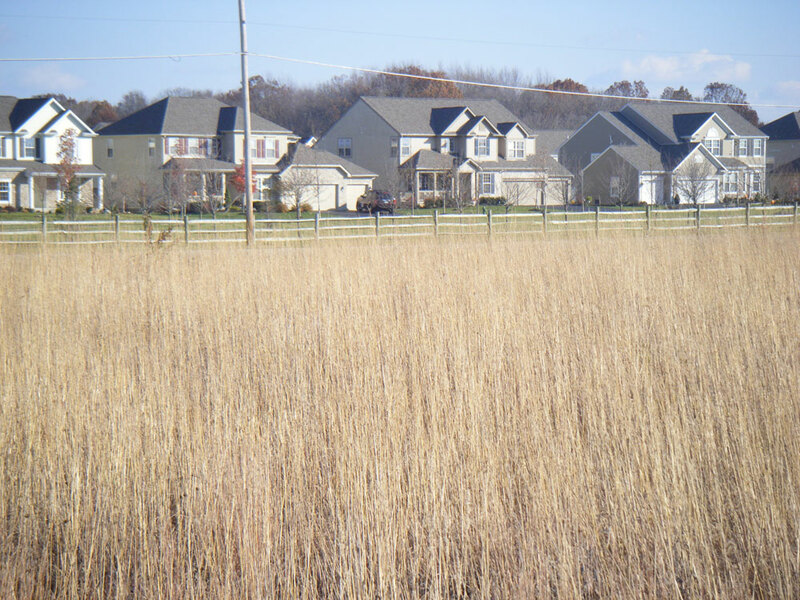 Landscape treatments in these locations should be closely coordinated with the Metro Park and residential open spaces to create a seamless visual connection. Where variable-width medians are impractical, narrower standard-width medians should be considered, especially in locations with physical constraints that limit right-of-way opportunities. Narrow medians will require vertical curbing for safety and maintenance. However, the roadway in these sections should be designed to allow surface drainage of stormwater runoff to the outside edge of the roadway, eliminating the need for a full curb and gutter treatment along the inside median. Narrow, curbed medians should be planted with naturalized landscape schemes, such as ornamental tall grass, to visually soften the median design and to provide a vertical landscape element that can partially block views of opposing travel lanes. These treatments will also complement the tall grass prairie landscape in the Metro Park. Opportunities to add modest curvature to the roadway alignment should be considered where space allows to capitalize on viewsheds and vistas, while also requiring drivers to moderate their speed. Where space allows, roadside ditches should be transformed into vegetated bio-swales or interconnected rain gardens. Physically constrained areas may require standard ditch designs, which can channel runoff to bio-filtration areas. 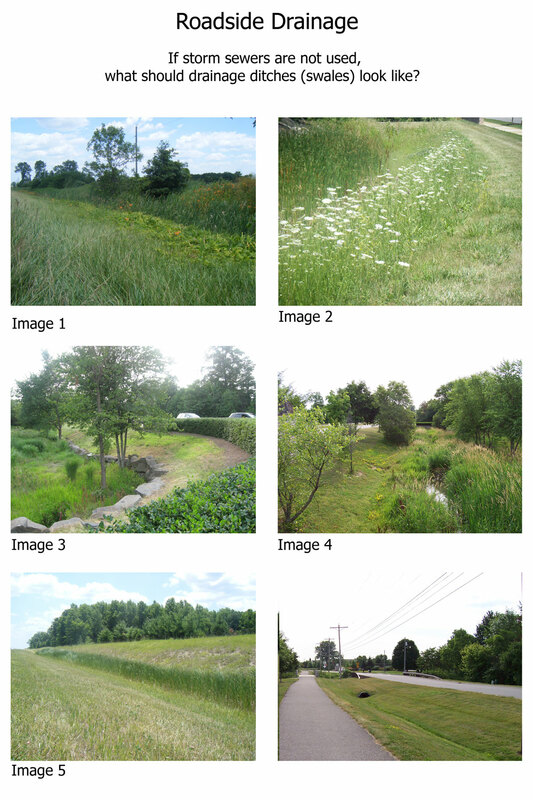 These applications can minimize infrastructure requirements and incorporate native species that coordinate with surrounding landscape treatments while providing functional benefits. Opportunities to integrate roadway drainage with the Honda Wetlands Education Area should be explored with future roadway improvements. Some locations, such as roundabouts, will require the use of curb and gutter drainage systems. Areas with significant roadside mounding treatments or adjacent wooded areas may also be appropriate locations for curb and gutter to minimize physical impacts. Where possible, curb and gutter roadway sections should use catchment structures to divert runoff to naturalized surface drainage features, rather than directly to the storm sewer system. Modified curb designs, such as inlet notches, may also be appropriate to allow surface drainage to flow through vertical curb sections. Pedestrians and cyclists of all skill levels should be able to travel safely throughout the area, and to safely cross Hyland-Croy Road to reach local and regional destinations. Remaining gaps in the city path system to the east of Hyland-Croy Road should be connected to create a continuous route through residential open spaces. Paths should diverge from the roadway where possible to provide users a more recreational and scenic travel experience. The Metro Park multi-use path system provides a nearly continuous north-south recreational route to the west of Hyland-Croy Road. Connections to the Metro Park should be provided to create a safe and continuous path system throughout the northwest area. Opportunities for a pedestrian tunnel near the southern entrance of the Metro Park should be considered. However, physical constraints, including a high water table and a high pressure natural gas distribution line, present a challenge. A roundabout at the Hyland-Croy/Tullymore Drive intersection should also be considered with future roadway improvements as a means to control traffic and to provide pedestrians and cyclists a safe crossing point into the Metro Park. Dedicated bicycle lanes should be incorporated into future roadway improvements to provide a safe and efficient commuter alternative to the recreational path system along Hyland-Croy Road. Bypass ramps should be incorporated into roundabout designs to provide cyclists the option of avoiding the circulatory roadway and safely crossing intersections using designated crosswalks and pedestrian splitter islands. This is especially important at multi-lane roundabouts, which can be challenging for both cyclists and automobiles to negotiate simultaneously. Roundabouts have been planned or studied for each of the major intersections along the Hyland-Croy corridor to provide safe and efficient traffic control. 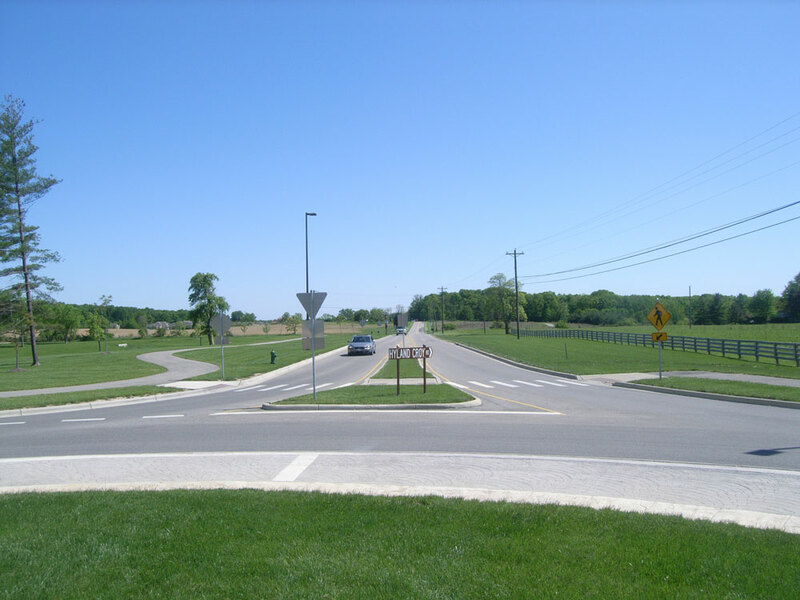 The first roundabout in the corridor was constructed at Glacier Ridge Boulevard in 2007. Residents in this area have expressed a desire for improved landscaping within and surrounding the roundabout to add aesthetic interest and to mitigate the visual impact of required traffic signs. This roundabout is designed to accommodate expansion to an additional travel lane if needed in the future. Regardless of timing for future roadway improvements, a landscape plan should be developed for this roundabout to improve its visual quality. 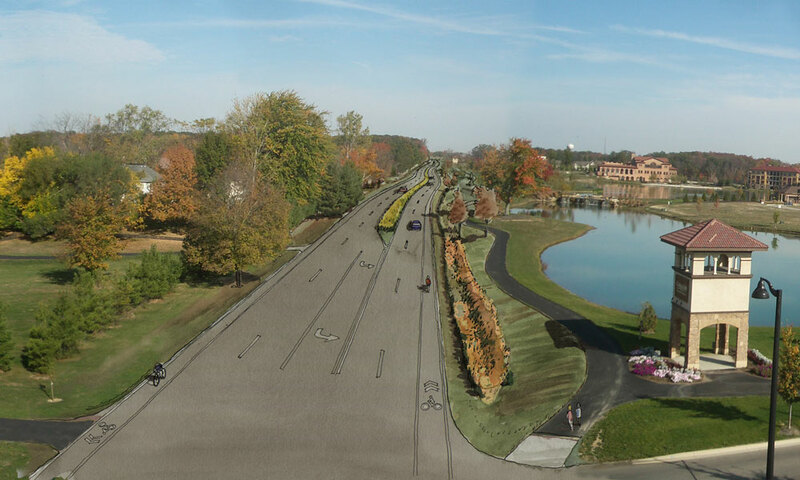 Landscaping in center islands should coordinate with median and roadside landscape treatments, and incorporate design details used throughout the corridor. Low stone walls and low-maintenance ornamental grasses are appropriate design elements. Tree plantings may be incorporated to provide natural breaks on the horizon as drivers approach the intersection. Roundabouts must be designed with a full curb and gutter treatment to convey stormwater away from the circulatory roadway. This design should transition back to an uncurbed roadway section with a tapered curb. Roundabouts and other intersections must also be lighted for safety. Arterial roadway lighting should be limited to these locations to preserve rural character throughout open stretches of the corridor. The timing and build-out of development throughout the northwest area will warrant a phased approach to roadway improvements to accommodate increased traffic volumes in different locations. While timing has not yet been determined, traffic volumes are expected to first warrant expansion of Hyland-Croy Road in the southern-most portion of the corridor. Improvements to the northernmost-section of the roadway, particularly between Glacier Ridge Boulevard and Brock Road, are largely dependent on the build-out of the planned Jerome Village development in Jerome Township. This section of the corridor presents additional challenges to roadway improvements due to the existence of multiple single-family homes with individual driveway access to the roadway. Existing homes in other sections of the corridor may also experience access impacts related to future median design. Planned roundabouts throughout the corridor will provide an alternative means of access where left turns are restricted. Specific median locations and design standards must be determined through Engineering studies. Hi, I stay in Park Place community, yesterday only i came to know about the Jacqmine farms rezoning, so I was not able to attend the meeting. I have certain concersn regarding this. 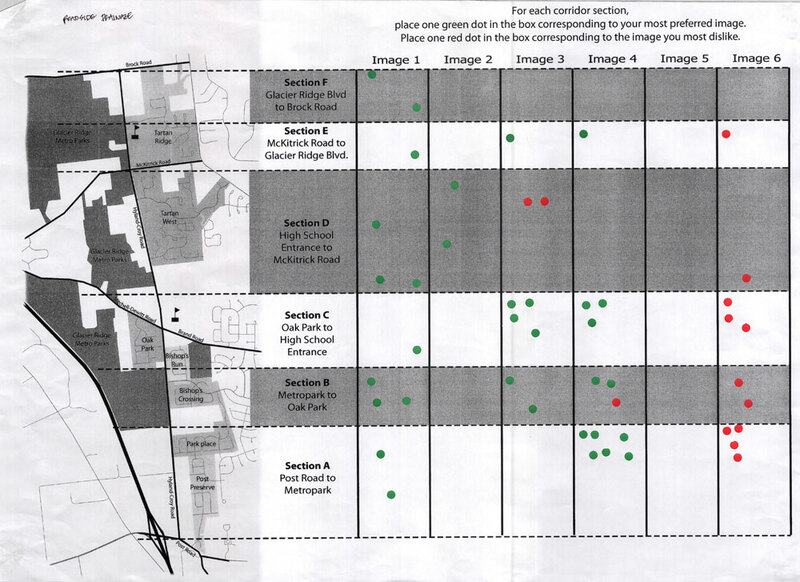 1) Schools should be constructed before any development because of this school standartd are going down too many kids in each class of Glacier Ridge Elementary. 2) Heavy Traffic during the office hours in the morning as well as in the evening no proper plan is done before any new community. 3) Hyland croy roads were planned for initially two communites Park Place and Bishops Run, now too manu comminities are coming up to name fe 1. Tartan Ridge, 2. Jerome Township 3, Oak Park 4. Woods of Labrador 5. Celtics crossing but no Road development as been done. as the memebr of the park place community Resident we deeply appose this new zoning planning until the NEW Schools and proper Road development is done. Well done and insightful. This area is developing considerably faster than the infrastructure can accommodate! Careful planning and resource utilization is paramount!